Tundra, the Bronx Zoo’s resident polar bear, was euthanized last Saturday. 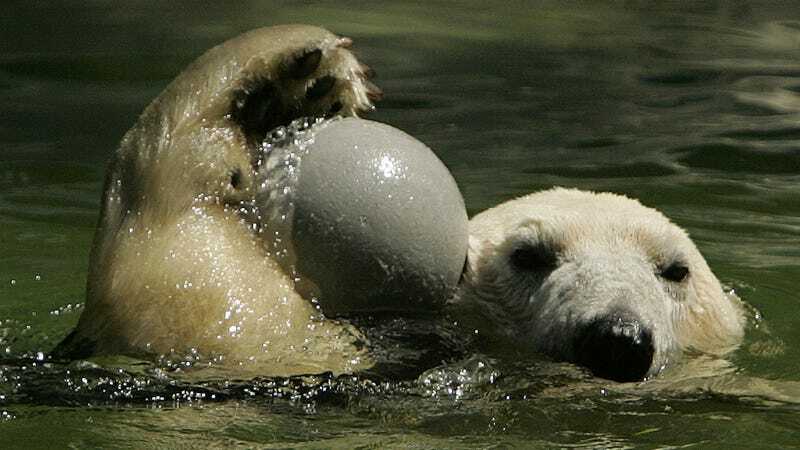 At the time of his demise, he was the last polar bear left in New York City, following the deaths of Central Park Zoo polar bears Gus, in 2013, and Ida, in 2011. Though Tundra was 26 (which is very old in polar bear years) and was suffering from kidney failure, it is still very sad to see him go. This has not been a good year for bears. Breheny told the Associated Press that Tundra, who exceeded the average life expectancy for zoo-residing male polar bears by about five years, “remained extremely active and playful until just before his death.” Breheny also fielded some online criticism from animal advocates who argued Tundra would have fared better in the wild than in captivity. Though the Wildlife Conservation Society’s position is that polar bears are just as happy in zoos as they are in the wild, there’s been some concern over the years about the “forced reality” bears face when stuck in fake habitats. In 2016, WCS addressed inquiries over Tundra’s comfort level in the midst of an NYC heat wave, noting that the bear was perfectly fine in hot weather, though whether or not Tundra told them that is up for debate. Polar bears have been in the news of late, thanks in part to a video released by National Geographic in December that showed an emaciated, starving bear looking for food on Canada’s Baffin Island. Though some critics argued that the video was misleading and bear populations are doing just fine, Nat Geo clarified that the warming climate is, in fact, hurting bears, thank you very much. Anyway, goodbye Tundra, you were a nice bear, and now you are gone.